In the middle of winter, summer can feel like it’s a long way away. For those of us who need a pick-me-up to get through the colder months, there’s nothing like a visit with camp friends to put summer smiles back on our faces. And to that end, many Maine Camp Experience (MCE) camps will hold reunions and get-togethers in the winter and spring to keep us connected with our camp families. After all, it’s easier to “live 10 for 2” when your camp friends are also a part of those ten months! It really is amazing how quickly the camp spirit is rekindled when everybody gets together. And whether you’re at a restaurant, a bowling alley, or even in a ballroom – there’s something about a camp community coming together that just feels like Maine. 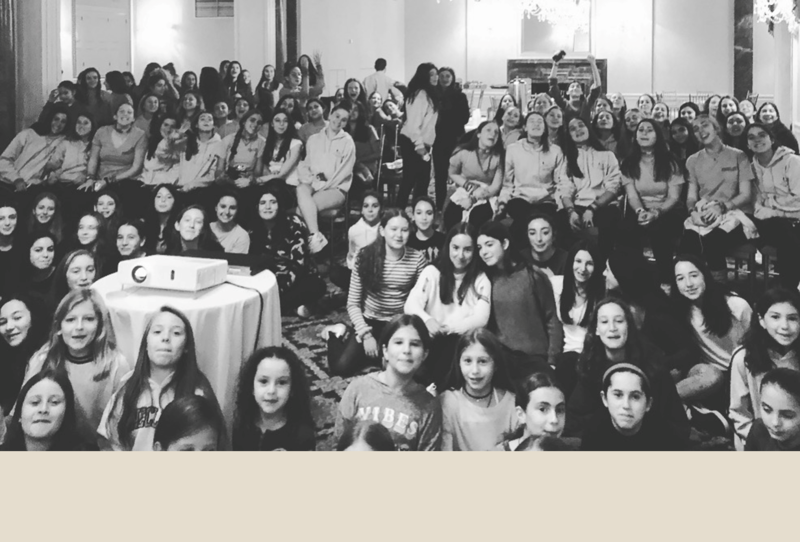 The MCE camp I work for had our reunion just a couple of weeks ago, and even though we were in Midtown Manhattan, campers piled in wearing their signature camp uniforms (including shorts over leggings or sweatpants) to fully embrace the camp spirit. We say hello to old friends (and young friends, as the case may be), enjoy snacks and treats together, and watch the camp video together which chronicles highlights of the summer gone by. One of my favorite parts of our annual camp reunion is the opportunity it provides to graduating campers to come together as an age group one final time before saying goodbye to their camp years. Of course, the end of a summer at camp is always wrapped in emotion and energy; and while campers certainly depart knowing that their camp years are behind them, there is something incredibly healthy (and moving) about these campers spending one more afternoon together months removed from the energy that surrounds the final days of summer. Of course, not every camper can come to reunions – these are by no means mandatory events, and a child will not be at any kind of disadvantage if they are unable to attend. After all, MCE families come from all over the country and all over the world, and sometimes it’s just not feasible to attend a camp reunion (wherever it may be held). For those who can’t or don’t, connecting by phone calls, FaceTime, and one-on-one or smaller group gatherings also are great ways campers can stay in touch. However, for those who do get the opportunity, it’s a great time to connect and to look forward to the summer ahead! And while reunions are great for returning campers, many camps also put together events (generally later in the spring) that are specifically for new campers to help them make friends and get acclimated before they ever set foot in Maine. Whether your future first-time camper is nervous or excited, these can be great ways to break the ice in comfortable environments – and after a few games (and a few slices of pizza), most kids just can’t wait to get on the bus in June or July! So get those smiles ready and practice your camp songs – when it comes to seeing your camp family, reunions and get-togethers provide the perfect place!